Much words not needed here. I feel so psychic and awesome because I was suggesting that Zoya should Create more Pixies. And Now, I Have my wish granted!!! 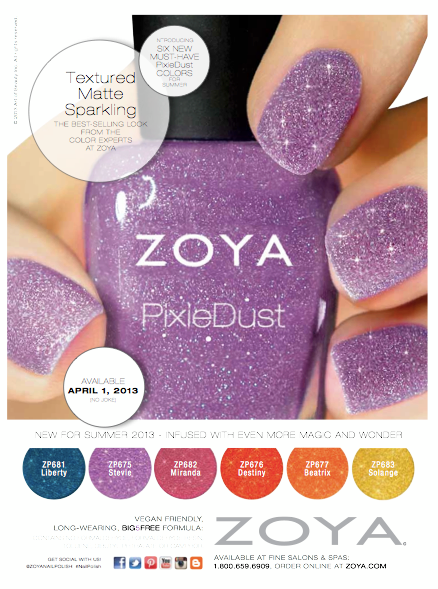 Check out my post on the First Set of PixieDusts By Zoya HERE. You deserve to have your polish wishes granted, especially when they're this pretty! Awww... Thanks! I am pretty excited about these colors.